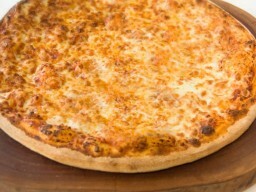 Birthday Deal: Pizza & Drink for 40 Kids - Only 299 ₪! Now open on Fridays too! Come and visit, under new management! For the full menu click here! Kosher LeMehadrin and Badatz Beit Yosef. Family atmosphere and warm and courteous service. Varied menu including classic pizzas with special combinations of toppings. Special prices for birthdays and parties. Option to purchase meal card (cartisiyah) for kids. Seating at restaurant and free delivery (according to area). Special deals for institutions, workers' councils and factories. Sun-Thu: 11:00-23:00, Fri: 10:00-15:00 (Summer) until 14:00 (winter), Sat: 1/2 hr After Shabbat until 23:00. Birthday party deal at Que Riko! 10 family size pizzas and pack of 40 Tropit juice packs - now for only 299 ₪!